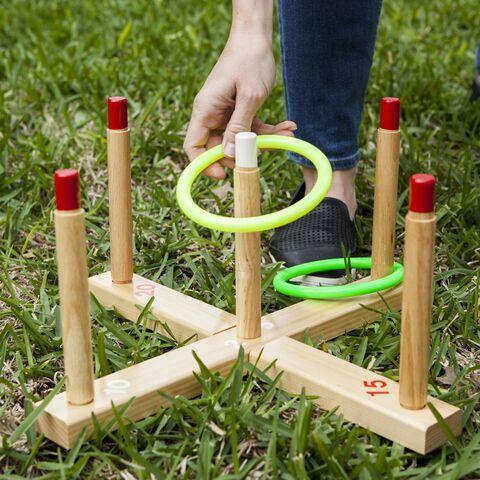 The classic game of ring toss helps young and old alike improve their hand-eye coordination, precision and accuracy in a simple two-player game. Score keeping is easy using the labelled base, and non-abrasive plastic rings mean you can play the game inside when the weather turns. Comes with Wooden Base with five sturdy wood scoring pegs and four 5" pitching rings. Dimensions: L: 13" x W: 13"